BCM 50 is an all-in-one, affordable platform for converged voice and data communications for small to medium business with 3 to 20 stations, yet scalable to serve more than 40. The BCM 50 provides advanced capabilities such as robust telephony features, voice messaging and unified messaging, IP networking, internet access, contact centers with skills-based routing, and IP telephony. With an easy-to-use and highly flexible architecture, the BCM 50 enables small sites to benefit from convergence capabilities that were previously only available to much larger organizations. The affordable BCM 50, scaled for small sites, comes pre-loaded with hundreds of features and a full suite of integrated applications. As your business grows and its needs evolve, you can activate more capabilities just by entering a key code. One of the Industrys Largest Portfolio of Telephony Features: More than 200+ in all, lets you process calls with exceptional reliability, efficiency and flexibility. You can be sure that all callers receive prompt, professional treatment. Employees enjoy convenience, productivity and control features that reduce phone tag and frustration. For example, the system can put a call on hold to page a person, who can then pick up the call from any extension. Voice Messaging: Enables callers to leave important information on a mailbox for a selected user, department or groups of users. The system adds call information, such as calling line ID, time and date of the call and priority level. Employees can record their own personalised greetings and enjoy password-protected access to their messages from anywhere. 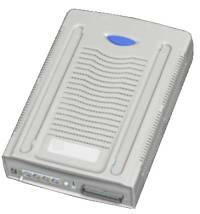 Mailboxes are virtually unlimited, as the BCM 50 provides 100 hours of message storage. Unified Messaging: Converges voice, fax and email messages onto users PCs or laptops, to be managed by one standard application, such as Microsoft Outlook or Exchange. This convenience can be a real time-saver, especially for users with heavy call volume.